I just broke the edge of my nail... What a way to start a post. Yes, it was on my swatch hand, and yes I was planning on doing a bit of swatching on the weekend. Just my luck. While my nail isn't looking so good (lie, I couldn't keep typing with half a jagged nail, I did go file it) my hands are in pretty good shape. 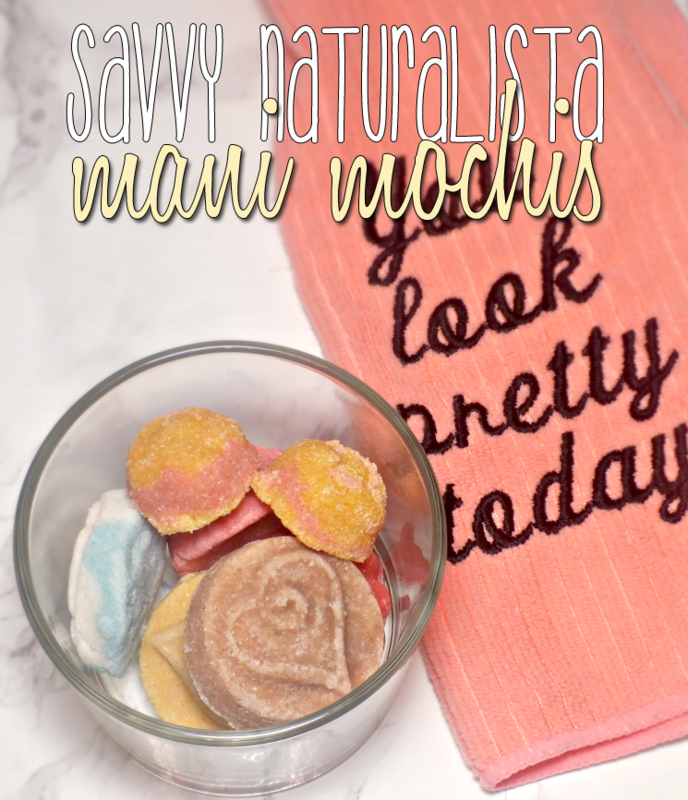 I've been upping my hand cream usage and exfoliating with the adorable Savvy Naturalista Mani Mochis. 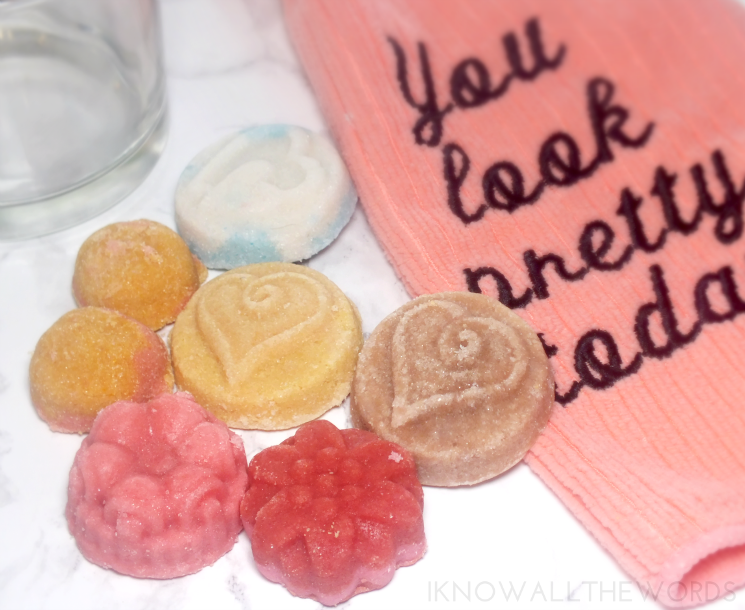 They're actually more than just a cute little scrub though.... Want to know more? Read on! The scrubs are big enough to get 2-3 uses out of, and are used by simply scrubbing a chunk over wet hands. The salt, sugar, and oil/butter combo feels great on hands and leaves them soft, clean, and lightly hydrated with no residue. I find the scent pops most when they're wet, so you get the added bit of aromatherapy too. Overall, I've got to say that I love these! Savvy Naturalista also makes Mega Mochis for the body, which I obviously am going to have to try next. I love that these are super inexpensive, but are a nice little way treat you hands to something nice. What do you think? Tried them? Want to?